Ask A Diamond Cove MARKET EXPERT! DESCRIPTION Priced to SELL!! Professionally upgraded 2 Storey on a cul-de-sac in Diamond Cove provides both privacy and tranquility. Step into the foyer and you are greeted with a stunning cathedral ceiling. The elegant front room and formal dining area are perfect for entertaining. Family room features a cozy gas fireplace and is adjoined by a spacious eat in kitchen. Upstairs boasts two expansive bedrooms with walk in closets. The master includes a breathtaking, fully renovated ensuite leading into a large dressing room. Ensuite includes a dual walk in shower! A second bathroom completes this amazing upper storey. The partially developed basement features LED lighting throughout, plenty of storage room and awaits your finishing touch. The huge, professionally landscaped backyard includes a composite deck, hot tub, fire pit and a playhouse for the kids. The home faces a park leading to the Bow River Pathway, perfect for evening strolls. New flooring and windows throughout. Don't miss this opportunity. 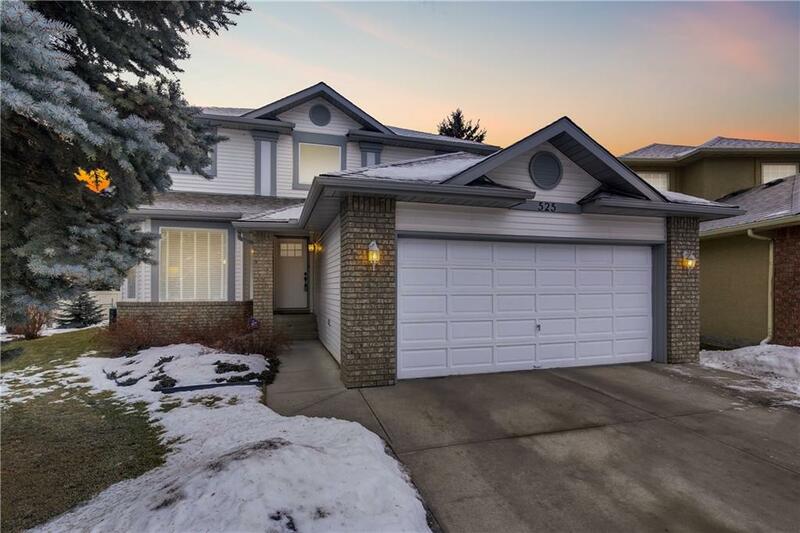 525 Diamond Co Se, Calgary, Alberta, MLS® C4220239 T2J 7C8 is a Detached, 3 bedrooms, 3 bathrooms, approximately 2,191 Sq. Ft. Listing price 534,900.00. This property was built in 1992.